Andrew Christie is a maker of bespoke fine wooden furniture and objects. Andrew’s background is in painting, filmmaking, and sculpture and he has qualifications in Fine Art, Graphic Design and Project Management. 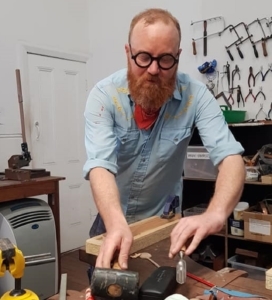 Andrew is passionate about making and also about helping others to create and learn how to use tools and materials.